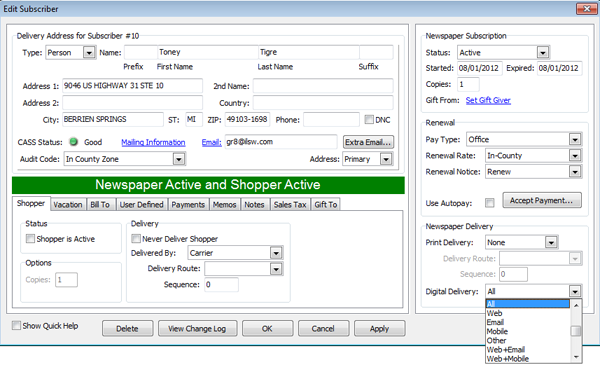 Interlink Circulation software is widely considered the premier community newspaper circulation system for mail-delivered newspapers. With postal-certified, newspaper-friendly presort tools built right into the circulation software, everything about mailing is easier, simpler, and quicker. This is why for millions of subscribers and more than 1,000 community newspapers depend on Circulation from Interlink. If you are not now using Circulation for your software needs, now is the time to learn more! Electronic-Edition Tracking now allows publishers to track and bill e-edition only subscribers just as easily as you’ve always tracked your paid mail and home delivery subscribers. It also integrates with the USPS Statement of Ownership, Management and Circulation, PS Form 3526. This means Interlink can automate taking full advantage of the USPS rule on Electronic editions. Under the terms of this rule, you may count your electronic editions for up to 10 percent of subscriptions required to meet the 50 percent of circulation required to be paid or requested to qualify or continue to qualify for a Periodical Permit. Our Subscriber Grid has expanded to include dozens of sort options adding ‘email,’ ‘autopay’ and ‘vacation start date’ among the 43 fields now available in each subscriber record. You choose as many or as few of the 43 fields as you want and apply any of the 23 filters to the list! Only want ID, City, ST, and ZIP Code? Done! Want to sort screen by ZIP Code only? Done! Or what about sort by ‘address change date’? Done! Smart Sampling™ resulted from us watching subscription counts grow in select communities while they were shrinking in many others. 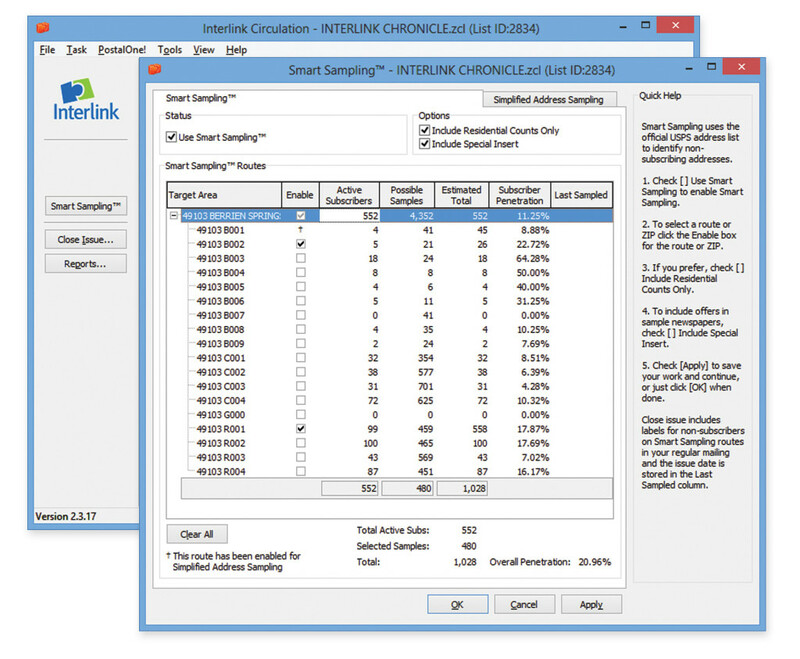 By applying how successful publishers were growing circulation to our software and CDS use, Smart Sampling™ was born. Publishers following the Smart Sampling™ plan are profitably adding 10 percent and more to their circulation counts every year. 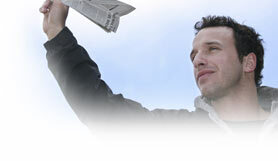 Smart Sampling™ allows newspapers to send sample publications only to non-subscribers to designated routes, thereby, allowing them to offer discounts or other promotions to non-subscribers only. Smart Sampling™ also allows companies to expand coverage on a one-time basis for advertisers seeking to target specific areas or for distribution of a special section or edition. 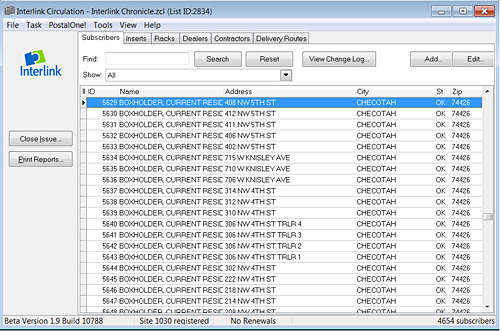 Interlink’s Advertising Billing, AB4, is Interlink’s oldest and newest software product. The most recent update to this software was 2012. Newspapers traditionally find the “Balance Forward” accounting method used byAB4 to be easier and more natural to use as well as more efficient when compared to the “Open Item” systems widely used in other businesses. If you are not satisfied with your current Accounts Receivable system, now would be a good time to view the AB4 feature list. Many publishers enjoy the peace of mind that comes with guaranteed compatibility between software, hardware and paper forms. Interlink makes it easy to ensure your labels, tags, and renewals look great by offering a complete line of consumable mailing supplies that have been crafted and tested to work perfectly with our software. The quickest and easiest way to place an order is to visit our online store. If you would like assistance with your order, or to speak with us about which products best fit your need, please contact Client Solutions at (888) 473-3103.